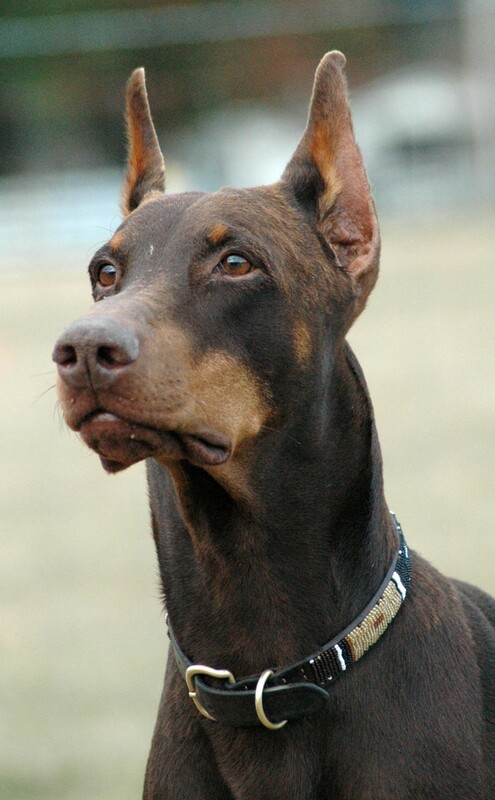 Doberman Pinschers are the target of a mistaken stereotype of ferocity and aggression. As a personal protection dog, the Doberman was originally bred for these traits: it had to be large and intimidating, fearless and willing to defend its owner, but sufficiently obedient and restrained to only do so on command. These traits served the dog well in its role as a personal defense dog, police dog or war dog, but were not ideally adapted to a companionship role. 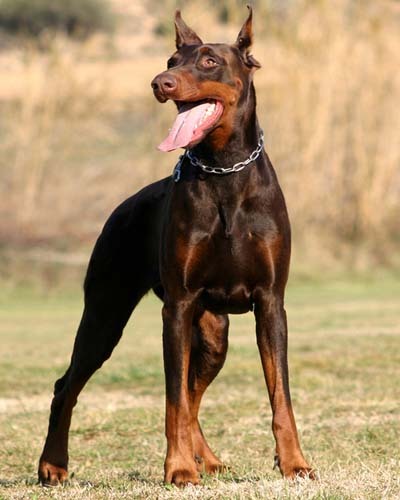 In recent decades, the Doberman Pinscher's size, short coat, and intelligence made it a desirable house dog. Although these dogs are mistaken for their aggression, they are extremely loyal. They can easily learn to 'Respect and Protect' their owners. In response, they are excellent guard dogs that protect their loved ones. They are generally sociable towards humans and can be with other dogs, ranking among the more-likely breeds to show aggressive behaviour toward strangers and other dogs but not among the most likely. They are very unlikely to show aggressive behaviour towards their owners. 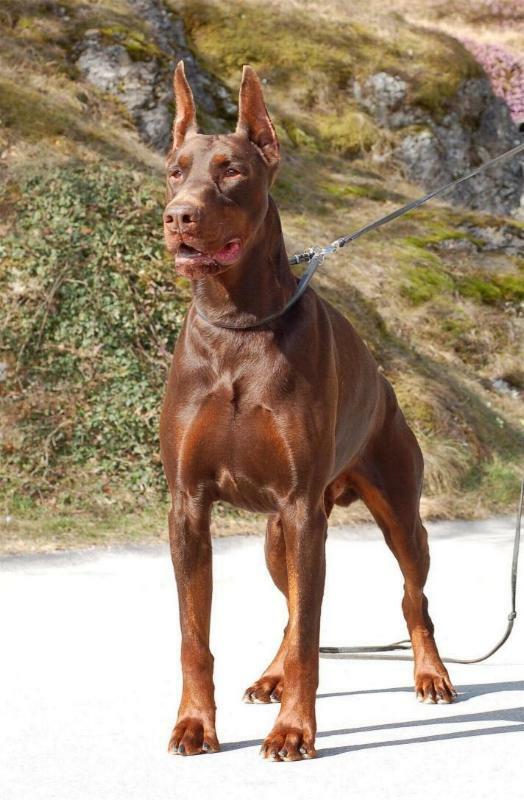 There is evidence that Doberman Pinschers in North America are calmer than their European counterparts because of these breeding strategies. Because of these differences in breeding strategies, different lines of Doberman Pinschers have developed different traits. Although many contemporary Doberman Pinschers in North America are gentle, loyal, loving, and intelligent dogs, some lines are bred more true to the original personality standard. This is my personel favorite as the dog to get. I would of love to have this dog but was overidden by Mrs. ChiefDude due to the fact she thought it would eat are kids. i will donate money to any and all dog charities if you pull the chief's blog rights.